When you understand how AgriGro works, you can see why biological bio-stimulants are the future of the agricultural and turf industries. All AgriGro products are a 100% all natural soil and plant bio-stimulants that contain micronutrients, enzymes, vitamins, complex carbohydrates, proteins, and amino acids. Simply put, AgriGro biostimulants are the best all natural growth products to hit the green industry in decades. In fact, they are not new at all. Growers in the U.S. and around the world have been using AgriGro products for over 30 years with amazing results. The above photos were taken exactly one week apart after being treated with AgriGro's biostimulant. Notice the flowers on the right have more than doubled in number. Having been extensively tested and researched, AgriGro products have consistently shown their ability to improve soil, increase crop yield, improve plant health, and reduce plant diseases and soil born pathogens, while decreasing the need for fertilizer and chemical inputs. They are used on farms, orchards, landscape trees, sports turf and home lawns, nurseries, and home gardens. Below are five important elements to examine for a better understanding of how AgriGro works. This will help explain why some in the green industry have been using AgriGro for over 20 years. See AgriGro's Effect on Soil Structure and Microorganisms. See Documented Proof of How AgriGro Works on agricultural plants. See Certified Results on AgriGro's Effect on Turfgrass. AgriGro's Addition of Salicylic Acid to Elevates the Plant's Immune System. See How AgriGro Works to Increases Brix Levels Within Plants. Click here for a pictorial documentation of how AgriGro works by viewing Field Test Results. This page opens into a new window. Life starts in the soil and AgriGro begins working the instant it contacts the soil. Research has demonstrated that within hours of application there is an explosion of activity. EMS Labs and Morning Star Labs documented that AgriGro's Turf Formula made a 3400% increase in microbial growth in the first 24 hours after application. This is astounding! This increase in soil microorganisms help speed the breakdown of soil organic matter and the minerization of soil elements into nutrients plants require. This process makes organic nutrients available to plants that were previously unavailable for plant use. This is important for those interested in natural lawn care and those seeking to reduce nutrients or chemical inputs. Turf Formula is an excellent natural soil conditioner. This increase in nutrient availability has made it possible for turf managers, growers, and farmers to decrease fertilizer additions by 1/2 or more. AgriGro users see an improvment in soil structure and texture. The soil has become lighter, more airified, with greater tilth. 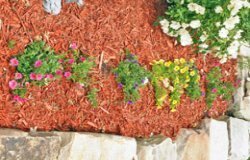 As organic materials are broken down, humus levels are increased releasing humic acids and providing better nutrient and water retention. Many turf managers and farmers have decreased the amount of added nutrients by 1/3 to 1/2. AgriGro's founder, Ron Smith, remarkably, has not used standard fertilizers on his pastures since 1983, yet consistantly maintains an exceptional crop year after year. Regular plant tissue tests are performed to certify nutrient levels. In a 120 day study, the University of Missouri - Columbia, USDA SAR Scientists documented a 35 percent increase in plant root growth and penetration, while observing a reduction in soil born pathogens. For example, Fusaruim colonies (a cause of root rot) were reduced by over 50 percent. The College of Technical Engineering and Agriculture in Viet Nam tested Foliar Blend and reported rice yield increases of 33% over control fields. The University of Missouri - Columbia Agricultural Farm in 2006 saw an increase in soybeans by over 30 percent using Foliar Blend. Orange Trees in Winter Garden, Florida that were treated with AgriGro Foliar Blend, were able to endure freezing temperatures of 2 to 3 degress lower than trees not treated. Foliar blend treated trees had a 30 percent freeze loss compared to untreated trees with up to an 80 percent freeze loss. 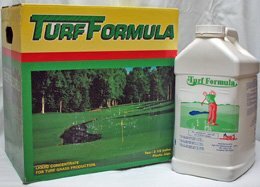 Turf managers are able to reduce fertilizer nutrients by 1/3 to 1/2 with the addition of Turf Formula. Some commercial turf managers in the residential market are using Turf Formula alone with amazing results. The box above is just a sample of how AgriGro works. Research in other universities and on hundreds of farms and within the green industry report similar results. This rapid increase of beneficial bacteria helps shield against common plant diseases, while increasing available nutrients. This alone is enough reason to add the Turf Formula to your lawn and turf program. But this is only the beginning of what it does. AgriGro's Turf Formula reduced Brown Patch Disease by 35%. Brown Patch is a serious disease of many turf species including Tall Fescue, Bluegrass, and other cool and warm season grasses. Plant root mass increased by 35%. Nematodes (a cause of grass and tree decline for some species) were reduced by 33%. Sodium levels were reduced by 73% in 90 days after application. Excess sodium can bind nutrients and damage soil structure. Nutrient availability was increased by as much as 68% due to increased microbial activity. Uptake of many important macro and micro nutrients was improved. AgriGro's Turf Formula, combined with AgriGro's Super-Cal, is a winning combination. Super-Cal delivers soluble calcium, while breaking down unavailable soil calcium and converting it into a useable form. Salicylic Acid, a naturally occurring plant hormone, develops within plants AFTER an attack occurs by a disease pathogen. The formation of Salicylic Acid triggers an immune system response and elevates plant defenses. This response is called Systemic Acquired Resistance or SAR. Unfortunately, it can take up to a week before the plant's natural defenses kick in and SAR becomes activated. Some diseases work quickly and this delay can allow for plant decline. AgriGro's Foliar Blend, Turf Formula, and Bountiful Harvest have Salicylic Acid added to the formula. This addition of Salicylic Acid starts elevating the plant's defenses BEFORE an attack occurs. This in an invaluable tool that can reduce fungicide applications to near zero in some cases. In commercial turf operations, Turf Formula is a valuable asset in customer satisfaction. Brix is the measurement of carbohydrates (sugars) inside plants. The brix measurement is a way of determining plant health. Since AgriGro products increase available nutrients, improves soil, reduces disease pressure, increases root mass, and enhances plant health, plant sugars are also increased as shown in tissue tests. Carbohydrates are the plant's food for every function from birth to death. Higher brix plants have less stress and recover more quickly than low brix plants. Low brix plants suffer more from environmental stresses, such as heat, drought, and cold. Here is a good example. Pine bark beetles are attracted to stressed trees. When a female bark beetle lands on a pine undergoing stress, she sends out a pharamone to attract other bark beetles. By the time the damage is noticed it is too late to save the tree. Higher brix trees and plants are attacked less often. In addition, higher sugar content improves the flavor of fruit and vegetables. There are many types of bio stimulant products offered, but not all of them work well. AgriGro products work! Hundreds of farms have been using them for over 20 years. Why is this important to know how AgriGro works on farms? Farmers simply can't afford to spend money on products that don't perform. AgriGro products produce higher yields and saves money in chemicals and fertilizers. See for yourself how AgriGro works for your lawn, trees, and plants. You can save money on your turf program and lower nutrient inputs. While AgroGro products will greatly increase the quality of plants, it is not a cure-all for every problem. It can't turn clay into loam, bring dead plants back to life, or fix serious pH problems. 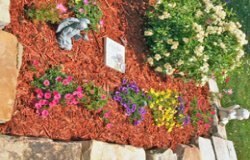 It can do a lot in even difficult conditions and will improve plant and soil health, as described, and do wonders for everything you grow. Organic biostimulants are used to make fertilizers more efficient, increase soil nutrient availability, promote faster plant growth, promote plant health, and gain better results using less fertilizer. See modern philosophy and case studies that test the popular methods. Why do home lawns need fertilizer, but forest, prairies, marshes, and the like do not? This page provides insightful information into the biology of soil nutrients and nutrient cycles and how it relates to home lawns. Check out the pages below to see how AgriGro's All Natural Products can help increase Plant Health and Soil Fertility, while even using less fertilizer, and so much more. See photos and documentation of actual AgriGro field tests with many "before and after" shots.